If a slowed-down, more economical pace is on your radar, consider these salty and seaworthy vessels and broaden your cruising horizons. Long, long ago before the Internet, iPhones and IPS, trawlers were full-displacement, single-diesel, large-cockpit fishing boats designed to slog their way to the rich fishing grounds of the North Atlantic. 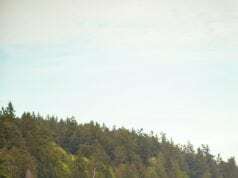 Half a century ago, the first recreational trawlers looked and acted the same, although with the addition of more comfortable accommodations and usually a lot of teak. Today, trawlers—and tugs, their first cousins—are still salty and seaworthy and designed for long-range cruising or living aboard, but the genre has widened considerably. Here’s a look at some of the current fleet of trawlers and tugs from 23-96 feet LOA. For the past 15 years, Ranger Tugs has been building popular, single-diesel, trailerable cruising boats from 21 to 31 feet. Now, the company has launched a 23-foot, outboard-powered version aimed at entry-level cruisers or more experienced owners wanting to trade down to a smaller, more easily maintained boat.With an 8′ 6″ beam, the new Ranger is still trailerable while having all the family-friendly features for which the brand is famous. 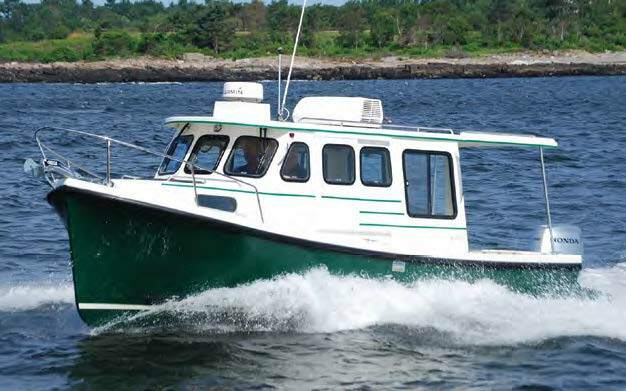 With salty workboat lines that reflect its Nova Scotia heritage, the Rosborough 246 is a sturdy, economical pocket cruiser with enough amenities to make a couple or small family comfortable on board. With an 8′ 6″ beam, it’s fully trailerable without requiring any special permits. 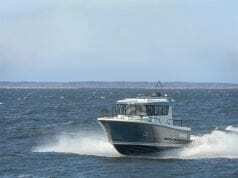 Rosborough started out making small commercial fishing boats in Nova Scotia some 60 years ago and then turned to the recreational market using the same seaworthy hull. 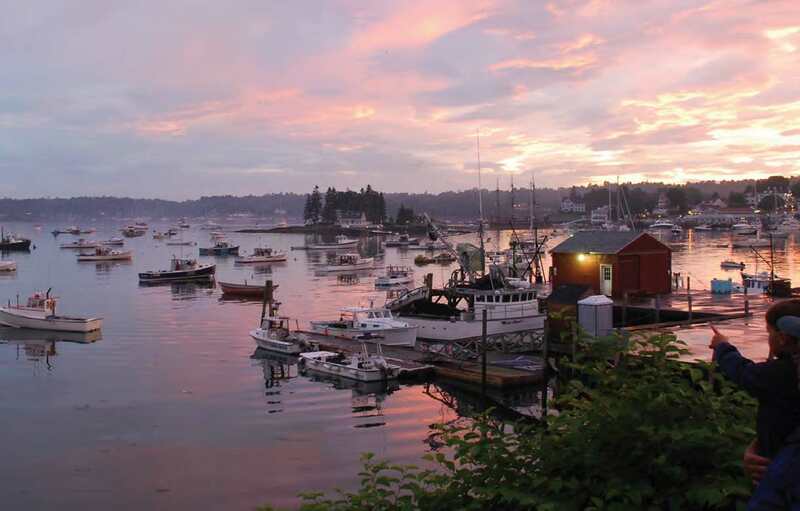 The boats are now made by Eastern Boats in New Hampshire. The newest addition to the Swift Trawler line first launched in 2003, the Beneteau 30 is a fuel-efficient, single-diesel cruising boat that combines contemporary French styling with traditional cruising accommodations plus a semi-planing hull with a 15-knot cruising speed. It comes in a two-cabin or one-cabin configuration. 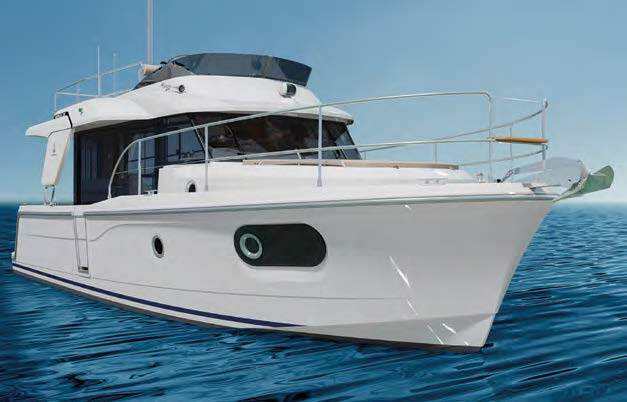 Basically, the new 30 is a slimmed down version of the popular Beneteau 34 Swift Trawler, which a group of boating magazine editors used to complete the Great Loop about three years ago. 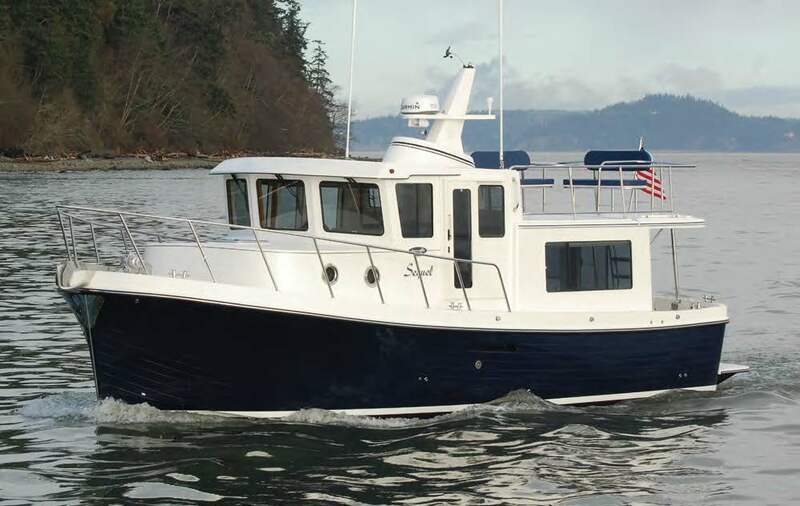 A solid, no-nonsense pilothouse trawler from the Pacifi c Northwest, the new American Tugs 365 offers safe, secure, long-range cruising or liveaboard comforts for a couple with occasional family or guests. Well built with a 10-year hull warranty, the 365 offers a cruising speed in the 13- to 17-knot area, powered by a single fuel-efficient 380-hp Cummins diesel. Dial it back to 9 knots and the Cummins burns only 7.6 gallons per hour (gph), giving the boat a range of about 1,000 nm.Although American Tugs are built in La Conner, Washington, by the Tomco Marine Group, about half of the boats are sold on the East Coast for cruising the ICW, the coast of Maine, or over to The Bahamas. There’s more of everything in the new Selene 42 Europa, from more space inside and out to a greater fuel capacity (700 gallons instead of 600), increasing range for safe family cruising. Overall, the new 42 is designed as an offshore cruiser, with the same quality as larger Selenes but at an affordable price.The Selene 42 Europa has a more spacious salon, flybridge and engine room than earlier models. A newly designed stern adds to waterline length for better speed and fuel efficiency while also providing more room in the lazarette. A larger rudder gives more control at low speeds, and a deeper keel helps with stability and tracking. Inside, the master stateroom is forward, with an island queen berth and oversized head with separate shower. Built for active cruisers, the new Nordic Tugs 44 combines the brand’s iconic salty looks with comfortable living spaces and fuel-efficient performance. 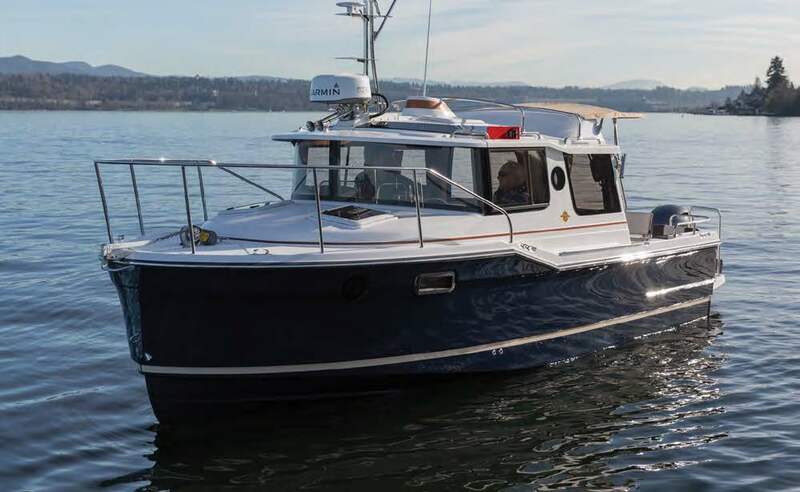 The first Nordic Tug, a 26, was an instant hit when it was introduced at the Seattle Boat Show in 1980, largely because of its distinctive tugboat-like lines but also because of its outstanding fuel efficiency. The new 44 continues with that legacy and burns only 3 gph at 9 knots. New models of the classic Krogen Express 52 have two changes, or “tweaks”, as the company owner, John Tegtmeyer, calls them. Both come as the result of input from owners as well as Tegtmeyer’s own experiences in cruising on the boats with his wife, Betsie. The first is an increase in the size of windows in the pilothouse and salon, so everyone on board can have a better view even when they’re sitting down. The second is the use of all PVC coring and Vinylester resins in the hull and structure layups. It’s not surprising that the new Azimut Magellano 53 has lots of Italian style, not to mention comfortable living areas, all loaded into a long-range cruising package. 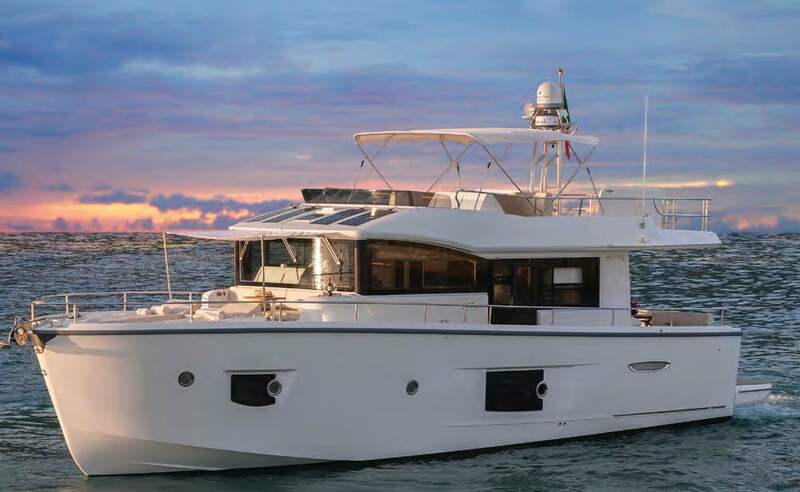 Designed for extended cruising or living aboard, the Magellano 53 offers three staterooms and two heads, a salon that would be at home in Milan’s fashion center, lounging areas almost everywhere, and a custom hull that makes for an easy ride at any speed. 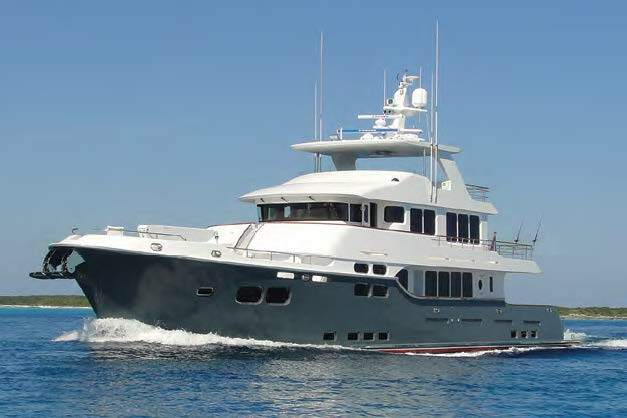 Also available in 43′, 66′ and 76′, the Magellano 53 replaces the 50. 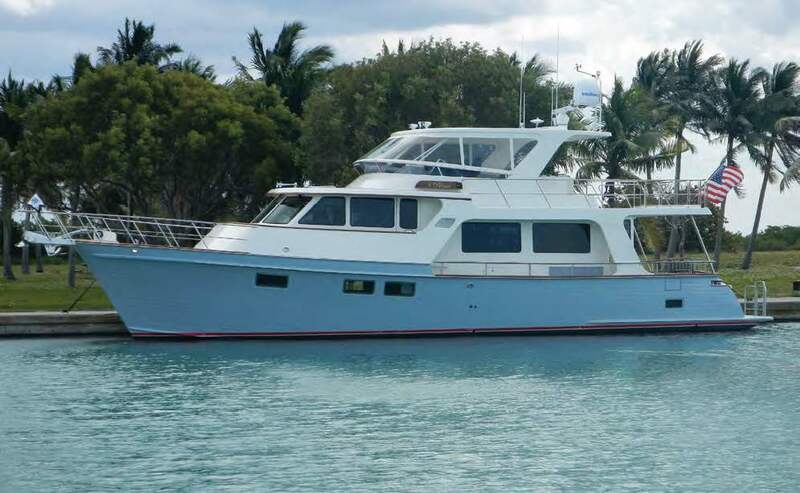 The 53’s three extra feet allow for a captain’s quarters aft plus a larger cockpit with a lounge, teak table and bar with sink, grill, and icemaker. Cranchi has been building boats since 1870, but the new ECO Trawler 53 LD (Long Distance) is the company’s first trawler. It’s a full-bodied, eco-friendly boat with a lot of Italian touches that make extended cruising safe, fuel-efficient and, most of all, exceptionally comfortable inside and out.When climbing aboard, the first thing that many people realize is that the Cranchi 53 is a big boat in every sense of the word. Headroom in the salon, for example, is 6′ 9″, and the countertop in the galley is 70″ long. David Marlow doesn’t do things halfway. Indeed, he’s been building boats since he was 13 and building sturdy, safe offshore cruising boats under his own name for the past 16 years. The new Marlow 53E (Explorer) is the company’s latest launch, and it is ready to take its owners anywhere around the world in style and comfort. And they won’t have to stop frequently to refuel either. 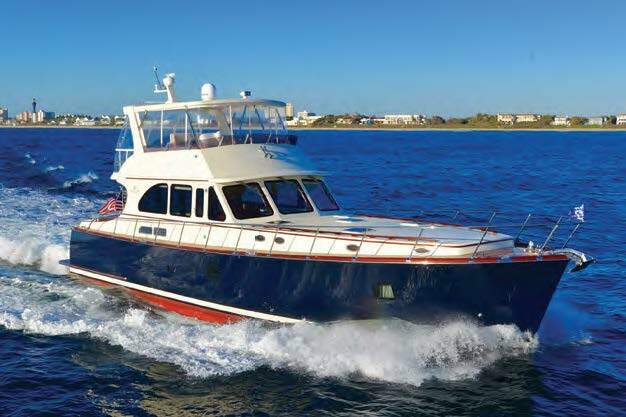 At a 7.7-knot trawler cruising speed, the Marlow 53E has a range of more than 3,000 nm.Even though the boat holds 2,000 gallons of fuel, that range—Palm Beach to Greenland, non-stop—means the Marlow has an efficient, low-drag hull shape. 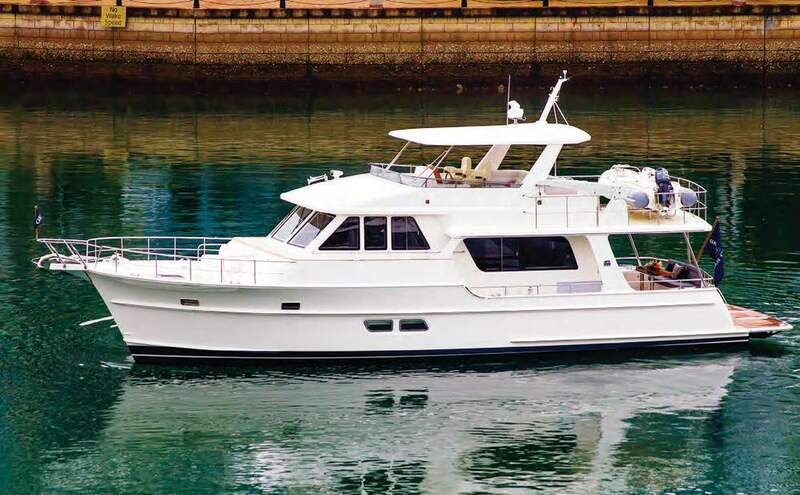 The Grand Banks Aleutian 55 RP is a new and improved version of the popular yet now retired 53-foot raised pilothouse yacht. It has the room and amenities to make extended cruising even more appealing and comfortable. The new 55 uses the same hull as the 53 but is stretched in length by 2 feet. The addition creates more space in the cockpit and in the utility room—an often-overlooked area that’s important for long cruises or living aboard—located between the midships, full-beam master stateroom and the engine room. For the 55, Grand Banks also designed a new warmer, lighter interior, added more stowage in the galley, built a second boarding gate on the port side, and made it easier to access the flybridge from the cockpit.The salon remains a social area and has interior stairs leading up to the flybridge—a major safety feature. 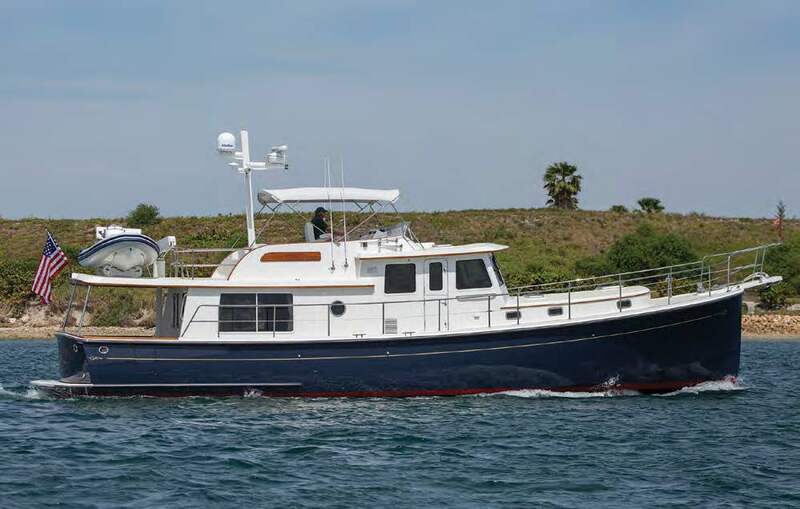 The new Duffield 58 is a traditional Doug Zurn design: low profile, classic lines, narrow beam, fuel-efficient, and low maintenance for easy, comfortable cruising. 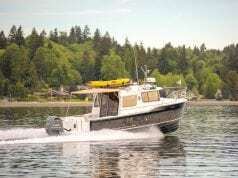 It’s sea kindly, too, even before the addition of the standard Seakeeper gyrostabilizer.The Duffield 58 is the brainchild of Marshall “Duffy” Duffield—of the Duffy Electric Boat Company in southern California—who wanted a contemporary version of an owner-operated, single-diesel traditional West Coast trawler. He turned to Zurn, whose design studio in Marblehead, Massachusetts, has drawn elegant sail and power boats for Marlow, MJM, Lyman-Morse, and Bruckman, not to mention the eye-catching Shelter Island Runabout and Billy Joel’s 57-foot commuter yacht Vendetta. The new Fleming 58 begins where the iconic Fleming 55 leaves off. 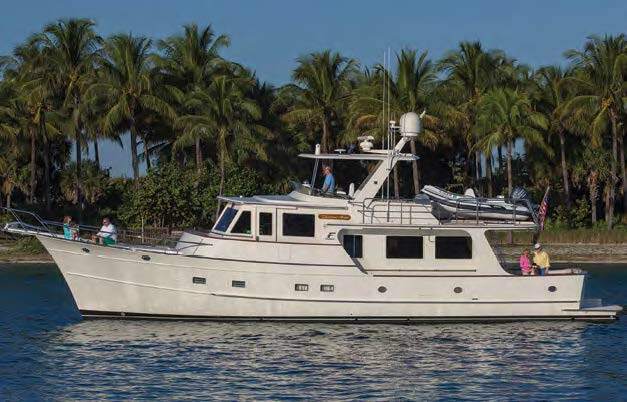 It has a little more room inside and out yet still retains all of the classic lines and sea-going capabilities that have made the brand famous. In stretching the 55, which Tony Fleming fi rst launched in 1986, the company also added considerably more weight—22,000 pounds, in fact—to make the boat more sea-kindly at displacement speeds. Flemings are semi-displacement boats, and the 58, which is powered by twin 800-hp MAN diesels, cruises at 15 knots—topping out at 20—but most Fleming owners prefer to spend their time at about 10 knots, where extra weight makes cruising more comfortable. The new 58 has three staterooms and two heads below. 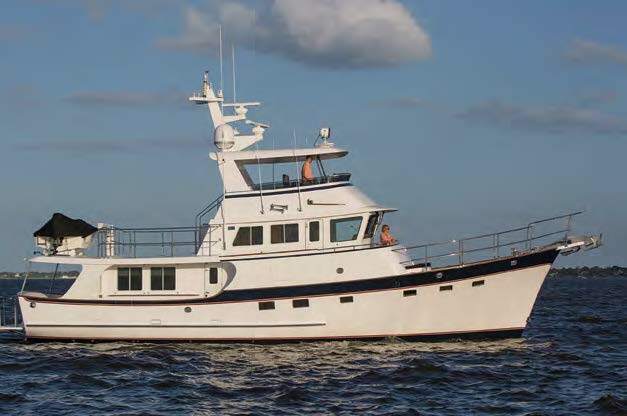 Over the past 30 years, Kadey-Krogen has built some 600 bluewater trawlers, all with the same characteristics: a full-displacement, bulletproof hull, usually with single diesel power, capable of cruising safely and comfortably anywhere in the world. 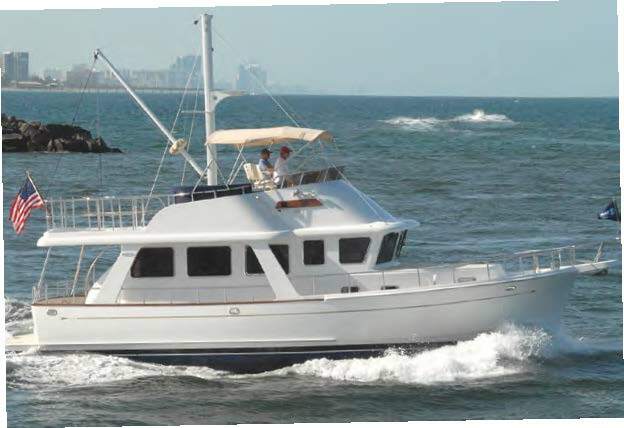 Kadey-Krogens are recognizable by their traditional pilothouse, iconic wineglass stern and walkaround engine room. The new 58 EB (Extended Bridge) is true to its heritage, with additional amenities to make long-range cruising even more comfortable. 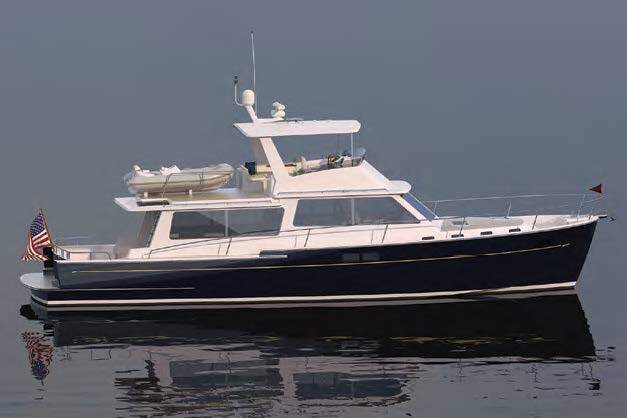 Even though it’s the smallest boat in Outer Reef’s Classic series, which stretches up to 115 feet, the new 580 is a big, bluewater cruising boat in its own right. Like all other Outer Reef yachts, the 580 is built to Ocean Class A standards, meaning it can withstand wave heights of 18-20 feet and sustained winds of 40 knots—a serious boat. 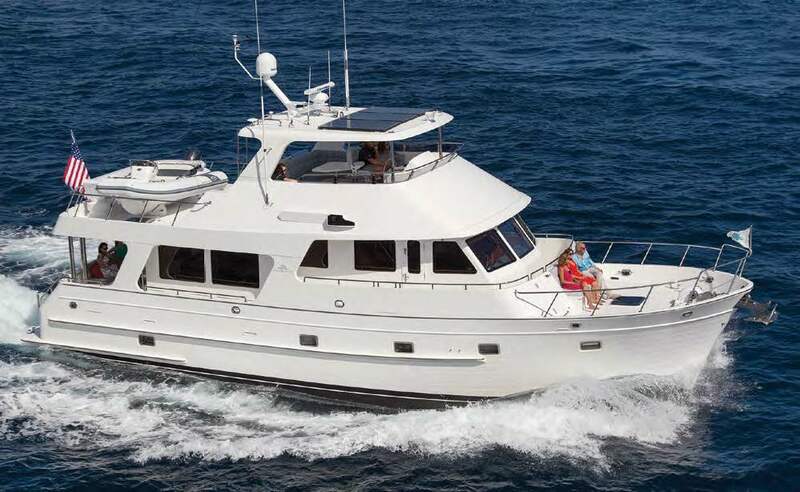 Introduced at the 2015 Fort Lauderdale Boat Show, the Outer Reef 580 has everything you need for extended cruising or living aboard: three cabins, two heads, a pilothouse with side doors to a Portuguese bridge (with seating forward), full galley, large flying bridge protected by a hardtop, stand-up engine room (which can be accessed from the full-beam midship’s master or from the utility room aft), washer and dryer, and a full keel to protect the running gear. There’s no danger of having a cookie-cutter yacht if you own a Vicem. Although the lines are classic, the all-mahogany, cold-molded, Turkish-built Vicems stand out from the crowd no matter where they are. Their new Custom 65 Flybridge, first introduced at the 2016 Palm Beach Boat Show, is a perfect example.Founded in 1991, Vicem concentrates on customization, craftsmanship, and timeless design with excellent fit and finish. The new 65 has a custom interior, in this case with three staterooms and a bonus child’s room or alternately used as a crew’s quarters (accessible from the VIP cabin). 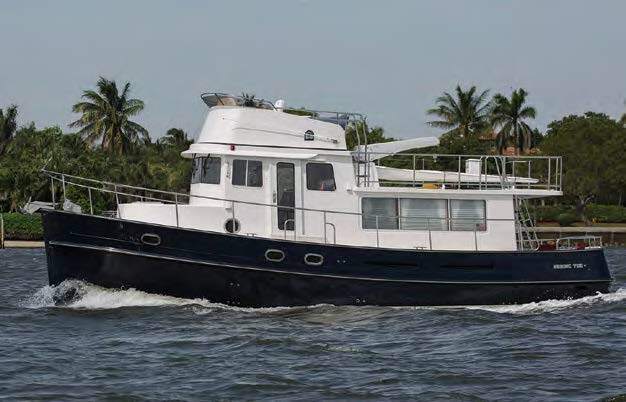 Ever since a Nordhavn 40 circled the world in 2002 and the company led the 18-boat Atlantic Rally from Fort Lauderdale to Gibraltar two years later, Nordhavns have been virtually synonymous with long-range cruising. Pick an ocean, a sea or a sound anywhere in the world, and it seems that a Nordhavn either has been there or is heading that way any time now. The new Nordhavn 96, with its 4,000-nm range at 9 knots, is designed to keep that reputation afloat. 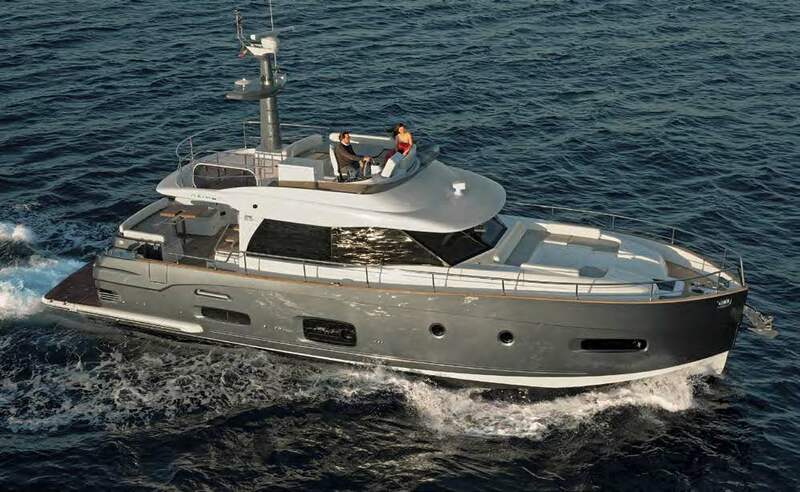 The new 96 is based on the hull of the successful Nordhavn 86.